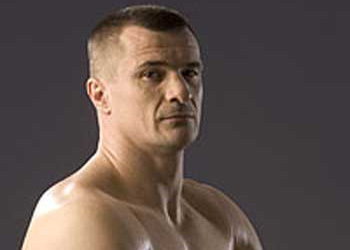 When the UFC brought Mirko “Cro Cop” Filipovic in following the collapse of PrideFC, nobody could have imagined how big of an Octagon bust the Croatian sensation would turn out to be. Following his fifth loss in nine UFC appearances, company president Dana White alerted the media following Cro Cop’s UFC 128 knockout loss to Brendan Schaub that he would be released from the world’s premier mixed martial arts promotion. Cro Cop was on one of the best streaks in MMA history after he captured the Pride Open Weight Grand Prix back in 2006. One devastating head kick later and the aura of invincibility surrounding one of sport’s most feared strikers would go up in smoke. Gabriel Gonzaga viciously laid CC out at UFC 70 in April 2007. Although his opponents never recklessly attacked the former K-1 fighter out of respect for what he had accomplished during his prime, they never feared him either. It’s unfortunate American fans didn’t get to witness the 36-year-old in his heyday. “Right kick hospital, left kick cemetery.” – Believe it. After back-to-back knockout losses to Frank Mir at UFC 119 and Schaub on Saturday night, White felt it was time to cut ties with the heavyweight. He said Cro Cop wouldn’t disagree with the decision, either. Cro Cop owns a 27 – 9 – 2 ( 1 NC ) record, with 24 of his wins coming before the final horns have blared.